Oh my goodness! 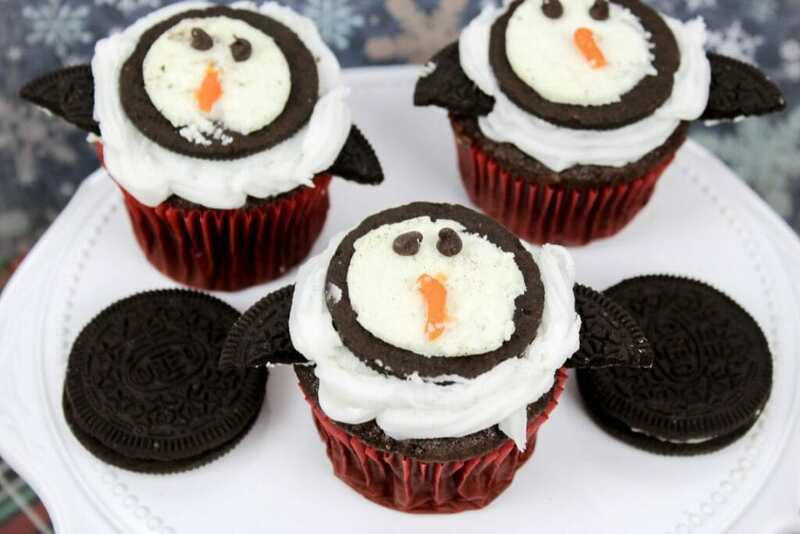 These penguin cupcakes are just too cute! I’m always in the market for fun activities to do with the kids – especially my little four year old. Sometimes it’s hard for Caleb to keep up with his older brother and sister. This foodie craft is something that everyone can do. You can set it up as an assembly line or have each kid make their own treat. I also love that the penguins are for the entire winter and not just Christmas. While I love getting goodies set up for the holidays, there are still so many more months ahead of us that are filled with snow. These cupcakes will work all the way up to MARCH! YAHOO! So, if you want to find out how to make penguin cupcakes, see below! Odds are you have most of these goods already in your pantry. Make cupcakes by following instructions on the box. Then, allow your cupcakes to cool completely before decorating. 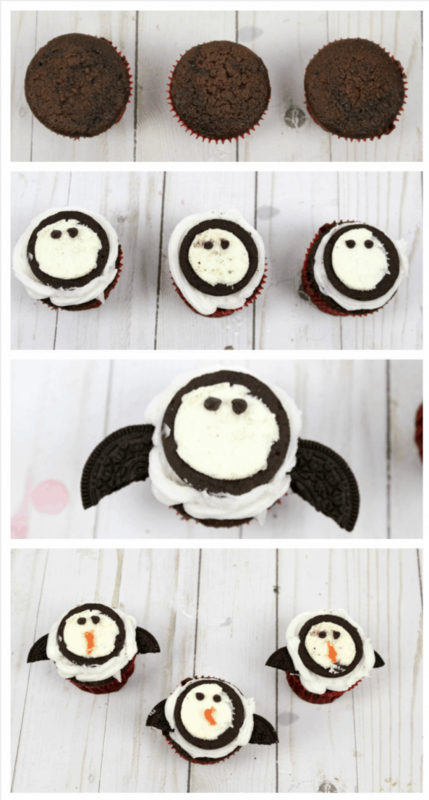 Pipe the white frosting onto the cupcakes and then smooth out top to create a base for the penguin’s face. 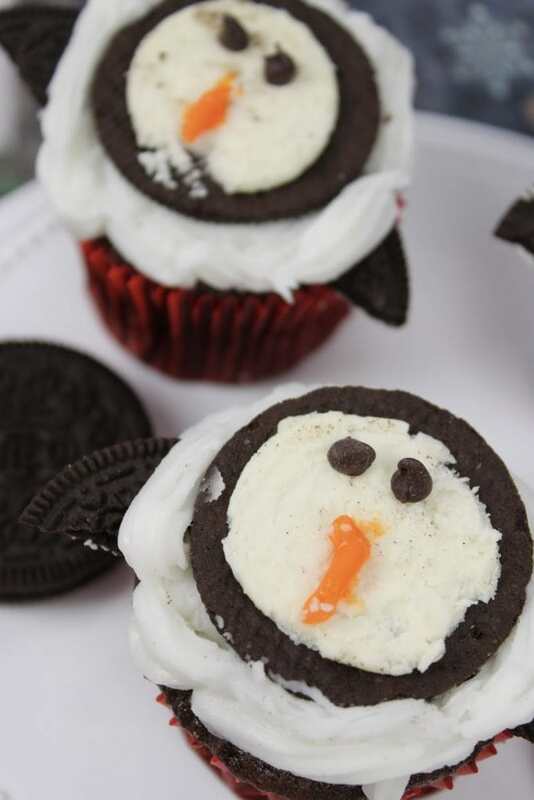 Next, pull apart an Oreo cookie and place it down on the cupcake, the white filling facing up to make the face of the penguin. Break the other side of the Oreo in half and press into the side of the frosting to create Penguin wings. Use the black decorating frosting to make two eyes and then the orange decorating frosting to make a nose! Finally, you have an adorable penguin cupcake!